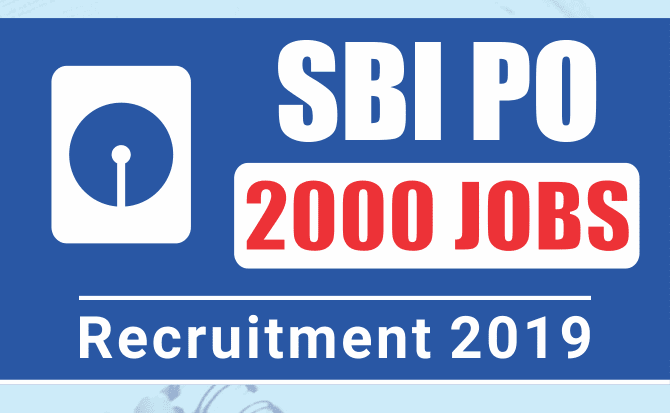 State Bank of India (SBI) has announced a Latest Govt Jobs notification for the recruitment of 2,000 Probationary Officers (PO). Interested candidates may check the vacancy details and apply online from 02-04-2019 to 22-04-2019. Educational Qualification: Candidates should have passed Graduation Degree from a recognised university/college. Selection Process: Selection of candidates will be made on the basis of Preliminary Examination, Main Examination and Group Exercises. Application Fee: General/OBC candidates have to pay Rs. 750 and SC/ST/PWD candidates have to pay Rs. 125 through online mode using Net-banking/Credit or Debit Card. 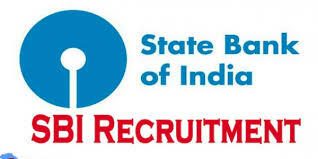 How to Apply: Interested and eligible candidates may apply online through SBI website - https://www.sbi.co.in - from 02-04-2019 to 22-04-2019. For more updates about Govt Jobs in India visit this page regularly and folly us on Facebook and subscribe in gmail. Allahabad Bank has released a Latest govt jobs notification for the recruitment of 92 Specialist Officers (SO). Interested candidates may check the vacancy details and apply online from 09-04-2019 to 29-04-2019. Educational Qualification: Candidates should have passed Graduation Degree in relevant stream from a recognized university/college. Application Fee: General/OBC candidates have to pay Rs. 600 and SC/ST/PWD candidates have to pay Rs. 100 through online mode using Net-banking/Credit or Debit Card. 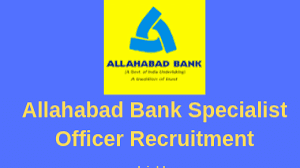 How to Apply: Interested and eligible candidates may apply online through Allahabad Bank website - https://www.allahabadbank.in/ - from 09-04-2019 to 29-04-2019. For more updates about Govt Jobs in Uttar Pradesh visit this page regularly and follow us on Facebook and subscribe in gmail. Tamil Nadu Forest Department (TNFD) has released a Latest Govt job notification recruitment notification for 564 posts of Forest Watcher. Interested candidates may check the vacancy details and apply online from 01-05-2019 to 18-05-2019. Educational Qualification: Candidates should have passed S.S.L.C. Public Examination or equivalent with eligibility for admission to Higher Secondary Courses of Studies or to College Courses of Studies. Age Limit (as on 01-07-2019): Minimum 21 years and Maximum 30 years. Selection Process: Selection of candidates will be made on the basis of Online Examination, Certificate Verification, Physical Standards Verification and Endurance Test. Application Fee: All candidates have to pay Rs. 150 through online mode using Net-banking or Credit/Debit Card. How to Apply: Interested and eligible candidates may apply online through TNFD website - https://www.forests.tn.gov.in/ - from 01-05-2019 to 18-05-2019. For more updates about Govt Jobs in Tamilnadu visit this page regularly and folly us on Facebook and subscribe in gmail. Tamil Nadu Pollution Control Board (TNPCB) has released a latest govt job notification for 224 posts of Assistant Engineer and more. Interested candidates may check the vacancy details and apply online from 25-03-2019 to 23-04-2019. For Assistant Engineer: Candidates should have passed Graduation Degree in Civil/Chemical Engineering from recognised university/college. For Environmental Scientist: Candidates should have passed Post-graduation Degree in relevant stream from recognised university/college. Selection Process: Selection of candidates will be made on the basis of Online Examination. Application Fee: General/OBC candidates have to pay Rs. 500 and SC/ST candidates have to pay Rs. 250 through online mode using Net-banking/Credit or Debit Card. How to Apply: Interested and eligible candidates may apply online through TNPCB website - https://tnpcb.onlineregistrationform.org - from 25-03-2019 to 23-04-2019. Tamil Nadu Uniformed Services Recruitment Board (TNUSRB) has announced a latest govt job notification for the recruitment of 969 Sub-Inspectors. Interested candidates may check the vacancy details and apply online from 20-03-2019 to 19-04-2019. Educational Qualification: Candidates should have passed Graduation Degree from a recognized university/college. Selection Process: Selection of candidates will be made on the basis of Written Examination, Physical Measurement Test (PMT) and Viva-voce. Application Fee: Candidates have to pay Rs. 500 through online mode using Net-banking/Credit or Debit Card. How to Apply: Interested and eligible candidates may apply online through TNUSRB website - http://www.tnusrbonline.org/ - from 20-03-2019 to 19-04-2019. 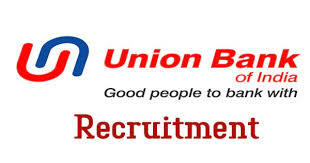 Union Bank of India has announced a Latest Govt Jobs recruitment notification for 181 Specialist Officers (SO). All the candidate who want to be the part of this recruitment process can check the vacancy details and apply online from 12-03-2019 to 29-03-2019. Educational Qualification: Candidates must have passed Graduation/Post-graduation Degree in relevant stream from a recognized university. Age Limit: Minimum 23 years and Maximum 40 years. Application Fee: General/OBC candidates have to pay Rs. 600 and SC/ST candidates have to pay Rs. 100 through online mode using Net-banking/Credit or Debit Card. How to Apply: Interested and eligible candidates may apply online through Union Bank of India website - https://www.unionbankofindia.co.in - from 12-03-2019 to 29-03-2019. RBI recruitment 2018: for Grade B officer apply Online! My name is Shashi Kumar. Blogging is my passion thats why i do it and also i like to share new things and knowledge with all so that they can take the advantage. I am the Founder & Administrator of many websites. One of My popular websites is: https://www.govtjobalertindia.com/ Me and My Team Devotee most of our time in updating and maintaining our blogs. © Copyright 2015 Govt Job Alert India. Designed by Bloggertheme9. Powered by Blogger.